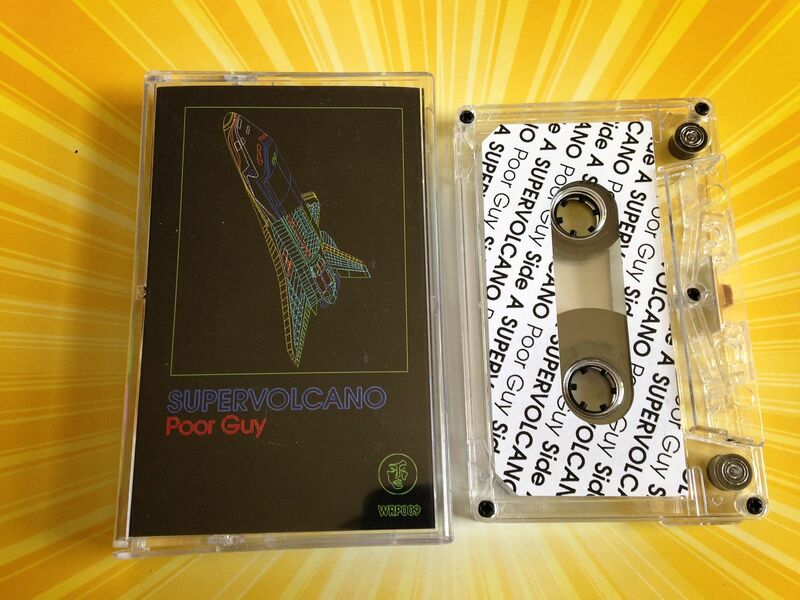 It's been almost a year since I reviewed Supervolcano's "Lifehater" cassette and if I had some more obstacles in my way I might have been able to push this one back and post it one year to the day of my "Lifehater" review but I can't really be bothered by such things so if the stars do so align in that way it will be purely coincidental. I wasn't sure which side was which because I just saw them as "the side with the text" and "the side without the text" but then I realized that Side A was marked as such. Unfortunately I realized that after I went to Bandcamp to confirm which side was which. But I got them right simply because I listened to the side which it was rewound to first- and that is the real lesson here: if you're going to send me a cassette, have it rewound to Side A, as this was. "Poor Guy" begins with delicate strings which make me think that at any time we could go into the AWOLNATION song "Sail". Video game synth patterns take hold and it has this definite mellow arcade sound to it. The next section comes out a bit quieter with trill bubbles. Percussion begins to build in the background and then it takes us into those drum machine slips I love so much. A series of beeps somehow takes us to the overall ending of Side A which leaves me feeling pleasantly distorted. On the flip side we begin with big, echoing beats. This brings about background beeps- which were more prominent on the first side- and this gives it a dance feeling. 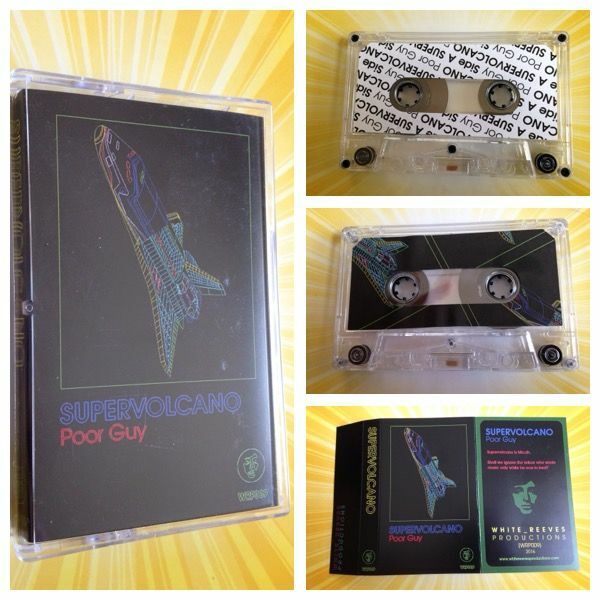 It has that in the club sort of vibe, which is the first time I've felt that on this cassette, but I like it and it does seem to be working for the overall flow. As it builds up to a synthpop/glo-fi level it becomes both crushing and distorted. Slight vocals can be heard in the background on Side B- in the form of spoken words, just barely audible. There is also some sort of singing in a robotic voice before all is said and done but before that we have the most curious piece of the puzzle. A single tone- as if the sound a computer would make when an error message would pop up- in manipulated into patterns. I remember once having my Twitter app open and refreshing it over and over to hear that sound it makes and Quentin liked it to the point where we almost made a song out of it. Supervolcano does something similar here, while demonstrating why we should leave the song-making to those who are not me. Overall, I feel like Supervolcano is becoming an artist much like Erases Eraser where the music created can be simple in its complexity or complexly simple. Many elements can combine to seemingly form one or the circuit board can be left open to expose all of the various facets going into each song. There is some other factor within the music of Erases Eraser though which makes it different from Supervolcano- perhaps it is that Erases Eraser seems to be insane while the music of Supervolcano seems sane in comparison- but I would love to hear a split between the two. 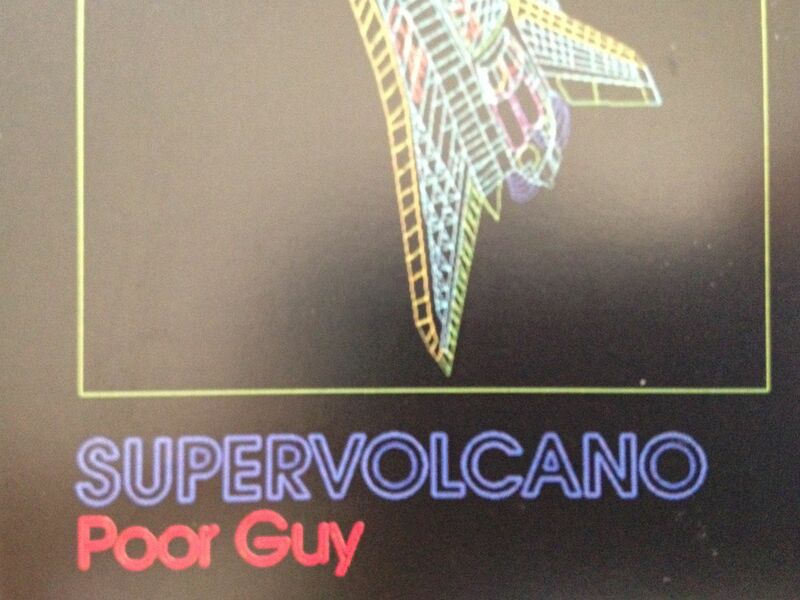 Still, Supervolcano solidifies themselves as one of my favorite artists with the release of "Poor Guy".